Available on Rent office spaces in andheri east, commercial office spaces for rent in Andheri east , We have more than 300 units commercial office spaces for rent in andheri east, with rentals starting from Rs 60000 located at at andheri kurla road - jb nagar -chakala-near metro station, on western express highway - midc - marol - near air-port sakinaka - saki vihar - rent office spaces in andheri east,mumbai - western suburbs -india. Rent commercial office spaces in andheri ( east) ,rent office space in andheri east / andheri, 10500 sq feet fully furnished office / spaces near western express highway touch most premium building in Andheri (East), 92 work station 8 cabins extremely large Board room or conference room , store room, planetary , posh toilets , server room large reception one of a kind furnished office Single office per floor good view etc.. 5 minutes walking from Andheri station most convenient - Rent office spaces in andheri east , rent commercial office spaces in andheri east, /shops/ showrooms / it park Mumbai. 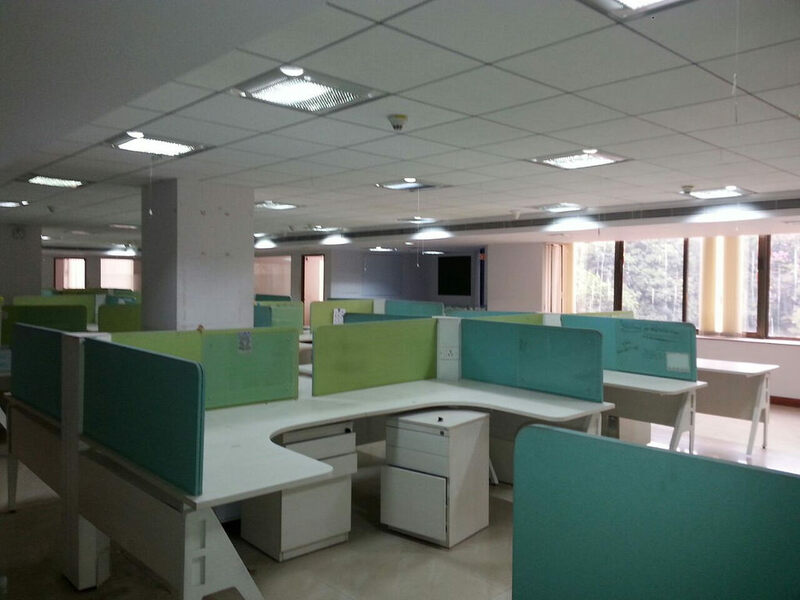 Rent office spaces in andheri east , available office spaces for rent in andheri kurla road in Atrium 215 - 4000 sq ft bup area - carpet area 3000 sq ft most premium building close to metro station , excellent furnishing call for more work stations . cabins , conference room , pantry , reception area meeting room , washrooms for gents and ladies .- Rent commercial office spaces in andheri east , rent office spaces in andheri east, / shops / showrooms / it park - Mumbai. 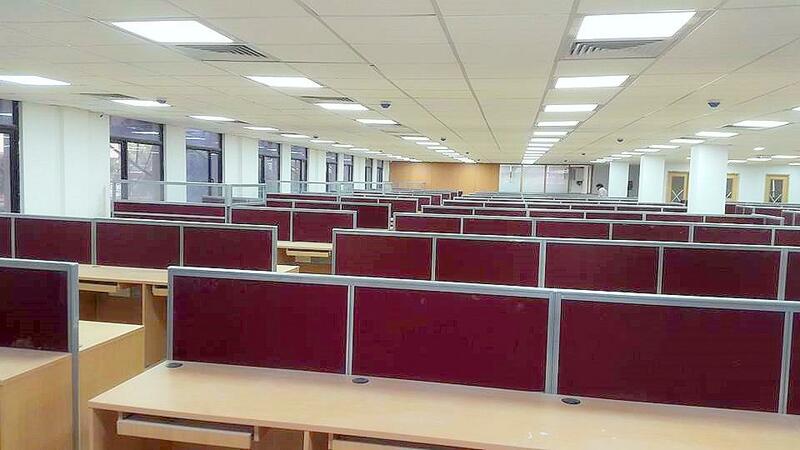 Available on rent commercial office space in andheri east , fully furnished 2000 sq ft 20 workstations 2 cabins 1 conference pantry server room reception area Rs 240000 /- location at jb NAgar close to metro station and highway - -Rent commercial office spaces in andheri east , rent office spaces in andheri east, / shops / showrooms / it park - Mumbai. Rent office spaces in andheri at : : Locations western express highway - chakala -jb nagar, andheri kurla road - sakinaka - marol - midc - saki vihar - makawana road - near airport - 600 sq ft to 90000 sq ft fully furnished -semi furnished -unfurnished option available more than 200 units - Rs 80 to 135 per sq ft -Rent commercial office spaces in andheri east , rent office spaces in andheri east, / shops / showrooms / it park - Mumbai. 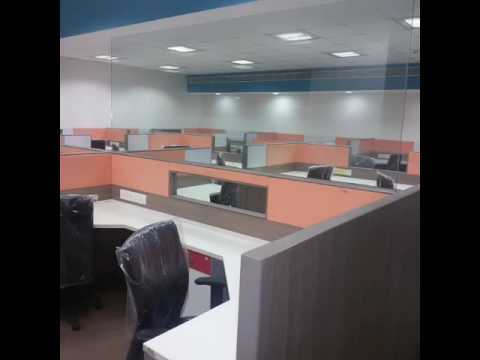 Available on rent commercial office space in andheri east , 5200 sq ft built-up area Solitare corporate park fully furnished close to western express highway and metro station Rs 125 for fully furnished office spaces on rent in andheri east - mumbai . 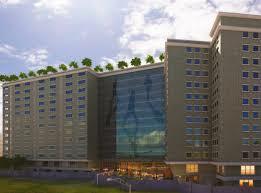 -Rent commercial office spaces in andheri east , rent office spaces in andheri east, / shops / showrooms / it park - Mumbai. Rent office spaces in andheri , Rent commercial office spaces in in andheri (east ), fully furnished 30 / 35 workstation well furnished 2 carbines 1 large conference, smoke detector , CCTV moderating in office 4 card reading ,telephone wiring plug and play godrej modular furniture 1st class quality -Rent commercial office spaces in andheri east , rent office spaces in andheri east, / shops / showrooms / it park - Mumbai. Rent office spaces in andheri, in Solitaire park, Rent Commercial office spaces in Andheri (East ) ,4500 sq ft solitaire park chakala - andheri east - fully furnished walk-in office space with work stations conference - CEO cabin ,Wash room : 3, meeting room , server room ,canteen etc , beautifully done up -ready possession . various options available in solitare corporate park ... from 1800 , 5300 sq. ft. / 3500 / 2200 / 5000 // 12000 /- Location : Andheri Kurla Road, Andheri East,Mumbai. Solitaire Park' is placed amidst the priceless // Various options in units sizes - Rent commercial office spaces in andheri east , rent office spaces in andheri east, / shops / showrooms / it park - Mumbai. Rent Commercials / office spaces in andheri Rent office spaces in andheri east chakala new building , Satellite Gazebo close to metro station and western express highway - excellent building glass facade new construction 1850 sq ft unfurnished Rs 130 /- per sq ft on bup area slightly negotiable .. Many options available in the units - Rent commercial office spaces in andheri east , rent office spaces in andheri east, / shops / showrooms / it park - Mumbai. MANY OPTIONS AVAIABLE IN UNIT SIZE !!!! Rent Commercials / office spaces in andheri kurla road andheri east , in Dynasty Business Park ( andheri east ) Offices spaces ,, many options available on lease 3500 6500 4200 sq ft Andheri Kurla Road, Opp Pizza Hut, Andheri East, near metro station very conveniently location of the premium buildings in andheri east fully furnished // semi furnished available of different sizes - Various options in units sizes - Rent commercial office spaces in andheri east , rent office spaces in andheri east, / shops / showrooms / it park - Mumbai. Rent commercial office spaces in andheri east ,Atrium - II by KANAKIA SPACES, Commercial Project in Andheri - Atrium ...Andheri east, is a quality office space development in the Sizes: 1200 Sq Ft, 2000 Sq Ft, 4000 Sq Ft, 6000 Sq Ft,10000Sq Ft and above available furnished / semi furnished on rent - Rent commercial office spaces in andheri east , rent office spaces in andheri east, / shops / showrooms / it park - Mumbai. Rent commercial office space in Dynasty Business park andheri east , 6200 sq ft approx fully furnished plug and play 60 work stations 5 cabins 1 conference , pantry , reception area close to metro station and highway at andheri kurla road andheri east, @ rs 120 on built up area with 3 car parks . Rent commercial office spaces in andheri east , rent office spaces in andheri east, at chakala , andheri kurla road, marol,midc, j.b. nagar , near airport, near highway &* metro station. Rent commercial / office spaces in Times Square office space at Andheri East. A beautiful 5250 // 6500 // 9000 // 10500 sq ft andheri semi furnished pre-lease fetching good interest - Rent commercial office spaces in andheri east , rent office spaces in andheri east, / shops / showrooms / it park - Mumbai. Rent commercial office spaces in Andheri east chakala in Solitaire Corporate Park , fully furnished in 2500 Sq. Feet with work stations, cabins, conference, room pantry, washroom, reception area, Rs 100 per sq. ft. close to western express highway and metro station Andheri east - Rent commercial office spaces in andheri east , rent office spaces in andheri east, / shops / showrooms / it park - Mumbai. Rent commercial office spaces in Atrium - II by KANAKIA SPACES, Commercial Project in Andheri , Atrium, situated at Andheri(E), is a quality office space development in the Sizes: 2400 sq ft - Rent commercial office spaces in andheri east , rent office spaces in andheri east, / shops / showrooms / it park - Mumbai. Rent commercial office spaces in andheri, glass facade buildings near metro station 1100 sq ft, 1500 sq ft,1450 sq ft 1600sq ft,2200 sq ft 2000 sq ft 1800 / 2500 / 3000 / 3500 /4000 /4500 / 5000 / 7500 / 8000 /10000 sq ft in at chakala andheri east furnished ..rent Rs 80 to Rs 120 Per sq ft for furnished glass elevation building all newly done up offices Chakala andheri kurla road,Andheri East, Close to western express high way available from 700 per sq ft to 60,000 sq ft and above-many units of available of different sizes - Rent commercial office spaces in andheri east , rent office spaces in andheri east, / shops / showrooms / it park - Mumbai. office space for rent in india Bull - lower parel , mumbai 1240 sq ft carpet area bup 1923 rs 175 per sq ft semi furnished commercial office space for rent in India bull finance center hub - Unit options available call now + 91 8108098760 - immediate deal assured !!! UNIT OPTIONS AVAILABLE CALL NOW !!!!! SOUTH MUMBAI MORE OPTIONS !! 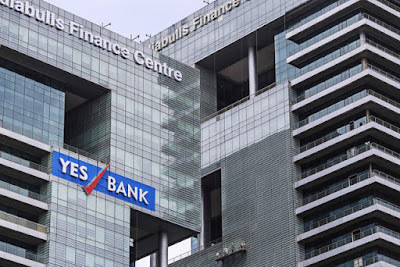 office Space for rent in lower Parel ,Mumbai at Lodha supremus 1250 sq ft Rs 150 per sq ft bare shell new building in in Lower Parel close to station glass facade In lower parel Rent offices spaces / commercials in Lower Parel / Worli / dadar / prabhadevi / rent commercial office spaces in lower parel-worli-dadar-prabhadevi rent -offices commercial space premises buildings shops showrooms south mumbai sale / sell /buy purchase .. unit options available in lodha supremus on sale / lease Unit options Available !!!! office Space for rent in lower Parel ,Mumbai Rent Commercial Office Space in Lower Parel MARATHON ICON 1325 built-up area carpet area 848 sq ft. Warm shell - Building has IT/ ITES Status. 1 covered parking Rs. 125/ sq ft + 6 Months Security Deposit Negotiable. In lower parel Rent offices spaces / commercials in Lower Parel / Worli / dadar / prabhadevi / rent commercial office spaces in lower parel-worli-dadar-prabhadevi rent -offices commercial space premises buildings shops showrooms south mumbai sale / sell /buy purchase Unit options Available !!!! 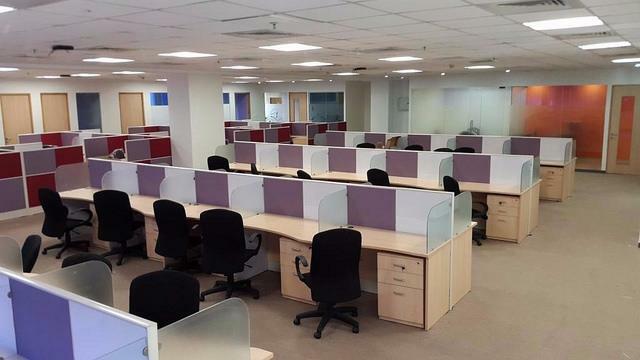 Commercial Office Space in Lower Parel for lease in Peninsula Center at parel,3000 sq ft built up and 2500 carpet,consisting of 2 Cabins , 1 conference room work stations 40 people seating ,pantry,server room,furnished,4 parking, @ Rs 210 psf + 6 months security deposit - lease office spaces in lower parel , rent commercial office spaces in lower parel - mumbai Unit options Available !!!! Commercial - Office Space for lease in Lower Parel Naman Midtown Built-up Area: 719 sqft.Car pet Area: 479 sqft.Fuly Furnished. (1 Director Cabin, 8 setter conference room, 6-8 work spaces)Rent: 120K. Negotiable.- lease office spaces in lower parel , rent commercial office spaces in lower parel - mumbai. office Space for rent in lower Parel ,Mumbai Todi Estate in Lower Parel 3500 sq ft 2.52 Lac unfurnished In lower parel Rent offices spaces / commercials in Lower Parel / Worli / dadar / prabhadevi / rent commercial office spaces in lower parel-worli-dadar-prabhadevi rent -offices commercial space premises buildings shops showrooms south mumbai sale / sell /buy purchase Unit options Available !!!! Mumbai Rent Commercial Office Space in Lower Parel 2400 / 1200 sq ft sq ft Nikita, Sun mill compound Lower Parel- - In lower parel Rent offices spaces / commercials in Lower Parel / Worli / dadar / prabhadevi / rent commercial office spaces in lower parel-worli-dadar-prabhadevi rent -offices commercial space premises buildings shops showrooms south mumbai sale / sell /buy purchase Unit options Available !!!! office Space for rent in lower Parel ,Mumbai Rent Commercial Office Space in Lower Parel l 750 900 1200 1600 / 2000 / 2500 / 3000 / sq ft Sun Mill Compound in Lower Parel 1 car park to single office rest can pay for additional car park ,Rs 100 to 140 per sq ft furnished -semi furnished- - Rent offices in Lower Parel /in Worli / dadar / prabhadevi rent offices commercial space premises buildings shops showrooms south mumbai sale / sell /buy purchase Unit options Available !!!! office Space for rent in lower Parel ,Mumbai 1000 600 1200 sq ft Pragati Industries Lower Parel Semi furnished Rs 80 to 100 - In Lower parel Rent commercial office spaces offices in Worli / in Lower Parel / dadar / prabhadevi rent offices commercial space premises buildings shops showrooms south mumbai sale / sell /buy purchase / rent . office Space for rent in Rent office in Worli 1050 sq ft Carpet Poonam Chambers (a -wing),in Worli , Mumbai South Built-up area 1155 sq ft Dr. Annie Besant road, Opp. Atria mall in Poonam chambers (A), Building - Main road facing, fully furnished commercial 1 wash room, one reserved car parking’s- - In Lower parel Rent commercial office spaces offices in Worli / in Lower Parel / dadar / prabhadevi rent offices commercial space premises buildings shops showrooms south mumbai sale / sell /buy purchase / rent . Unit options Available !!!! office Space for rent in lower Parel ,Mumbai Rent Commercial Office Space in Lower Parel 3544 BUA Paragon Cent erin Worli Partly Furnished: AC's, Conference Room, 7 Executive Cabins, Pantry.1 Parking. Rental Rs 350000- - In Lower parel Rent commercial office spaces offices in Worli / in Lower Parel / dadar / prabhadevi rent offices commercial space premises buildings shops showrooms south mumbai sale / sell /buy purchase / rent . office Space for rent in Worli 1700 sq ft Built-up area Poonam Chambers, Semi furnished ,Washroom 1, Dr Annie Besant Road, Rs 270000 - - Rent offices Prabhadevi /in Worli / in Lower Parel / dadar / rent offices commercial space premises buildings shops showrooms south mumbai sale / sell /buy purchase / rent Unit options Available !!!! 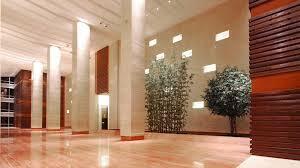 office Space Rent office Prabhadevi 10000 Sq-ft Commercial Space Opp. Tata Garden rent 1000000/- - Rent offices Prabhadevi /in Worli / in Lower Parel / dadar / rent offices commercial space premises buildings shops showrooms south mumbai sale / sell /buy purchase / rent Unit options Available !!!! office Space Rent office Prabhadevi 14500 Sq-ft Commercial Space above reliance digital express showroom Rs2900000 /- Fully furnished office, new furniture with parking available- Rent offices Prabhadevi /in Worli / in Lower Parel / dadar / rent offices commercial space premises buildings shops showrooms south mumbai sale / sell /buy purchase / rent Unit options Available !!!! office Space Rent office in Worli 1700 sq ft Built-up area Good Society, fully furnished office with 2 car parks Rs 215000 - In Lower parel Rent commercial office spaces offices in Worli / in Lower Parel / dadar / prabhadevi rent offices commercial space premises buildings shops showrooms south mumbai sale / sell /buy purchase / rent . office Space Rent office 4500 sq ft Worli , Near Doordarshan, semi furnished can be fully furnished if required Rs 4, 80,000 - - In Lower parel Rent commercial office spaces offices in Worli / in Lower Parel / dadar / prabhadevi rent offices commercial space premises buildings shops showrooms south mumbai sale / sell /buy purchase / rent . office Space for rent in lower Parel ,Mumbai Rent Commercial Office Space in Lower Parel 3000 Sq-ft Commercial Space fully furnished RS 400000 - Rent offices in Lower Parel /in Worli / dadar / prabhadevi rent offices commercial space premises buildings shops showrooms south mumbai sale / sell /buy purchase Unit options Available !!!! office Space for rent in lower Parel ,Mumbai Rent Commercial Office Space in Lower Parel Parel Sitaram Mills Compound, in Lower Parel (E) Area - 6400 sq ft carpet approx 8600 sq ft chargeable - Furnished Parking - Available Rent - 120 per sq ft negotiable The premise is suitable for back office, BPO - Rent offices in Lower Parel /in Worli / dadar / prabhadevi rent offices commercial space premises buildings shops showrooms south mumbai sale / sell /buy purchase Unit options Available !!!! office Space for rent in lower Parel Naman Midtown at Tulsi Pipe Road, Elephiston 1100 sq ft chargeable, 735 sq.ft carpet area approx. & 720 sq.ft chargeable, 480 sq.ft carpet area approx. Quote: Rs. 170/- Ideal for MNC’s / Indian Corporate, BSFI, Etc- Rent offices in Lower Parel /in Worli / dadar / prabhadevi rent offices commercial space premises buildings shops showrooms south mumbai sale / sell /buy purchase Unit options Available !!!! office Space for rent in lower Parel 1250 Naman Midtown in Lower Parel unfurnished can be furnished on request with car park -- Rent offices in Lower Parel /in Worli / dadar / prabhadevi rent offices commercial space premises buildings shops showrooms south mumbai sale / sell /buy purchase Unit options Available !!!! office Space 2252 sq ft carpet Ceejay House fully furnished 3100 sq ft. chargeable sea view-commercial building most premium complex - In lower parel Rent offices spaces / commercials in Lower Parel / Worli / dadar / prabhadevi / rent commercial office spaces in lower parel-worli-dadar-prabhadevi rent -offices commercial space premises buildings shops showrooms south mumbai sale / sell /buy purchase / rent commercials Unit options Available !!!! office Space for rent in lower Parel Built-up Area: 500 Sq.ft. @ Rs.100/sq.ft Office/Space Near Parel station with semi furnished & car parking & ready possession- Rent offices in Lower Parel /in Worli / dadar / prabhadevi rent offices commercial space premises buildings shops showrooms south mumbai sale / sell /buy purchase Unit options Available !!!! office Space for rent in lower Parel 1060 Sq-ft 650 sq ft carpet area. Exclusively furnished Air-Conditioned office with 3 Cabins, 1 conference room of 6 sittings cabins, 12 work stations, Pantry. Two washrooms Glass Facade commercial 1 Car parking. 24 hrs Hi-Tech security. 5 minutes from in Lower Parel Station. - In lower parel Rent offices spaces / commercials in Lower Parel / Worli / dadar / prabhadevi / rent commercial office spaces in lower parel-worli-dadar-prabhadevi rent -offices commercial space premises buildings shops showrooms south mumbai sale / sell /buy purchase / rent . Unit options Available !!!! Mumbai Rent Commercial Office Space in Lower Parel Marathon 1325 Sq-ft Commercial office spaces Rent in Lower Parel rent 175000, currently unfurnished - In lower parel Rent offices spaces / commercials in Lower Parel / Worli / dadar / prabhadevi / rent commercial office spaces in lower parel-worli-dadar-prabhadevi rent -offices commercial space premises buildings shops showrooms south mumbai sale / sell /buy purchase / rent . office Space for rent in lower Parel ,2800 sq ft carpet Rent 5 lakhs fully furnished - In lower parel Rent offices spaces / commercials in Lower Parel / Worli / dadar / prabhadevi / rent commercial office spaces in lower parel-worli-dadar-prabhadevi rent -offices commercial space premises buildings shops showrooms south mumbai sale / sell /buy purchase / rent . Unit options Available !!!! Rent Commercial Office Space in Lower Parel Covered Area: 1650 Sq-ft available fully furnished office for rent in in Lower Parel In lower parel Rent offices spaces / commercials in Lower Parel / Worli / dadar / prabhadevi / rent commercial office spaces in lower parel-worli-dadar-prabhadevi rent -offices commercial space premises buildings shops showrooms south mumbai sale / sell /buy purchase / rent .